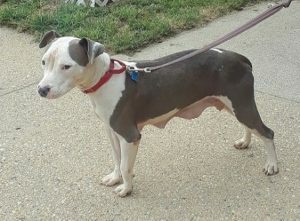 This sweet Pit is our newest arrival from Hempstead Town Shelter. 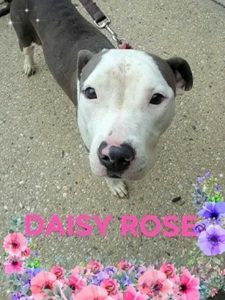 Only about 3 years old, DAISY ROSE appears to have been used as a breeding machine. She is very thin, and neglected. Despite the harsh treatment she has endured, her tail never stops wagging in a happy way. will be getting a great companion in return. Come visit me at the Dog Adoption Center. This entry was posted in Adult, Dog Center, Dogs, Female. Bookmark the permalink.